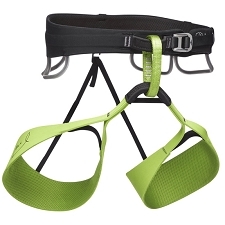 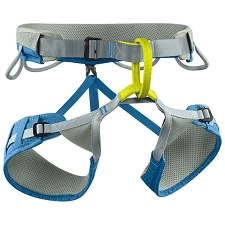 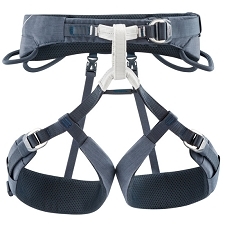 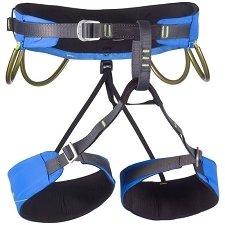 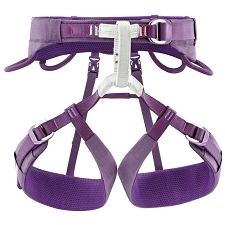 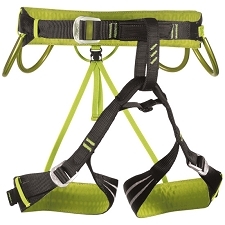 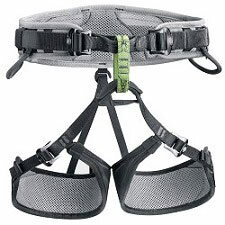 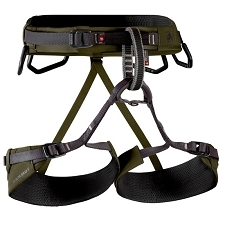 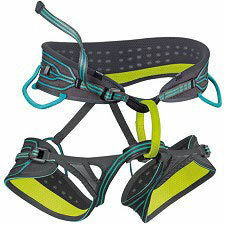 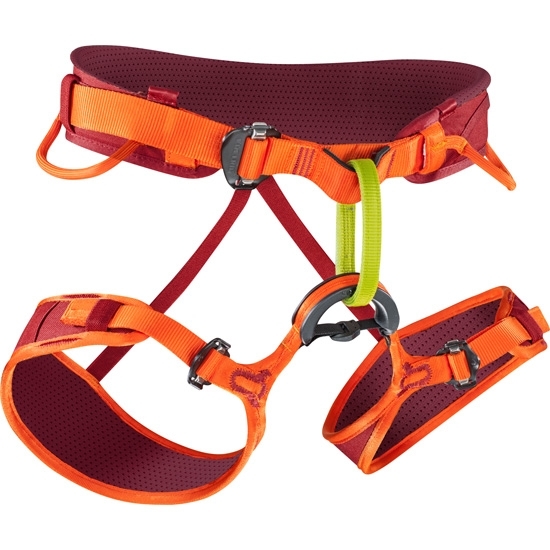 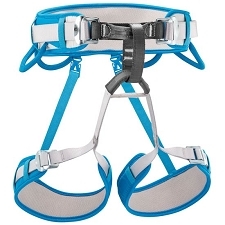 A climbing harness that is fully adjustable, with several gear loops. 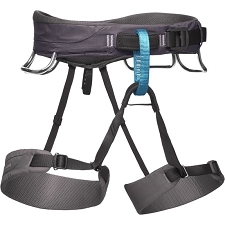 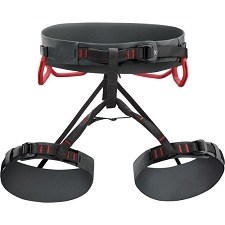 Easy Glider buckles provide a secure and comfortable fit. 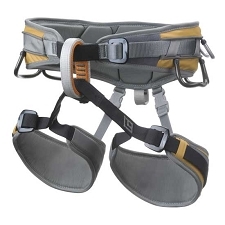 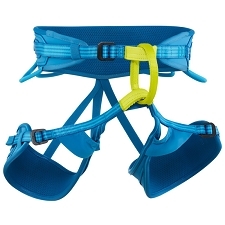 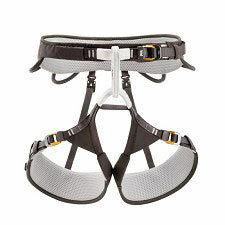 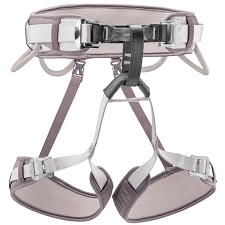 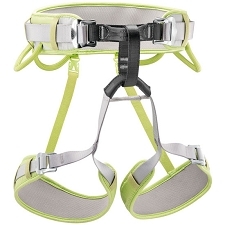 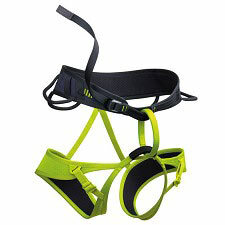 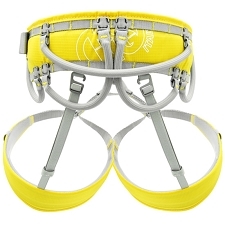 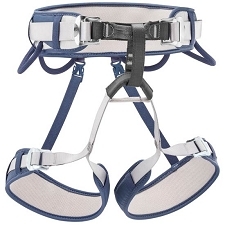 This helmet has a unique construction in that the waist padding slides freely on the webbing belt, allowing for perfect centering of the belay and gear loops on every user. 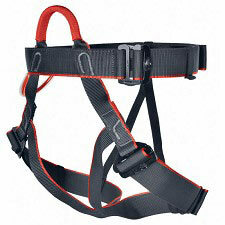 This is a great feature as it allows for a large range of adjustment. 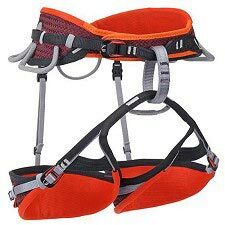 Size S. waist: 63−85 cm / leg: 45−55 cm. 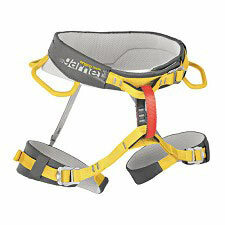 Size M. waist: 75−95 cm / leg: 50−60 cm. 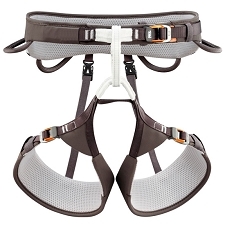 Size L. waist: 85−105 cm / leg:55−65 cm.